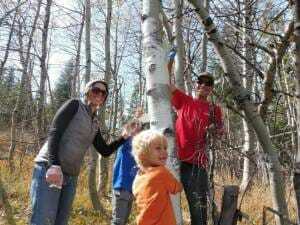 helped protect aspen trees from beaver damage. Truckee, Calif. August 28, 2018 – Calling on all nature-lovers to join us for Truckee River Day and River Fair on Sunday, October 14th! Put on some sturdy boots, dig out your work gloves, and grab some friends. Together we will work to restore the Truckee River, along with its creeks and meadows. 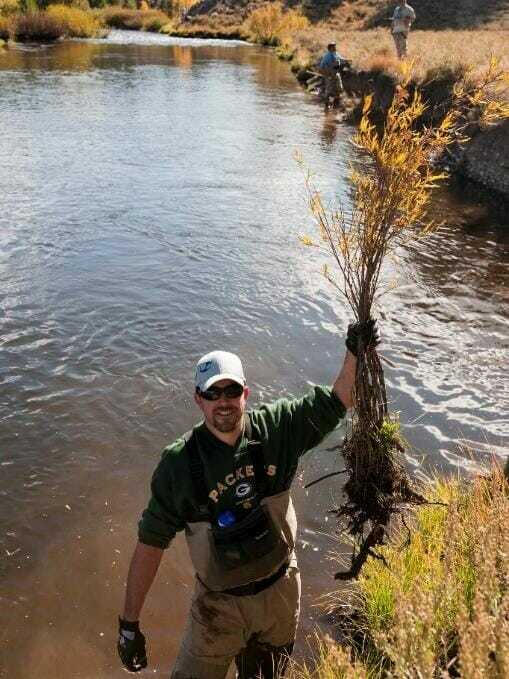 For over 20 years, hundreds of Truckee River Day volunteers have been transforming the health and resiliency of some 200 sites. Places like the Middle Martis Wetland, Perazzo Meadows, and Coldstream Canyon are now vibrant with native birds, wildflowers, and clean water. 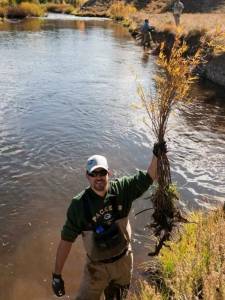 Year by year, project by project, the Truckee River Watershed Council spearheads these efforts to restore, protect and enhance precious parts of our watershed that sustain the Truckee River. From the earliest days of western expansion, our area has been affected by poorly constructed roads, historic logging, grazing and mining, and other legacy impacts. Now 150 years later, severe erosion is polluting our waterways with excess sediment, native species are struggling, and habitat is degraded. But here’s the good news – people like you are working to restore years of damage. 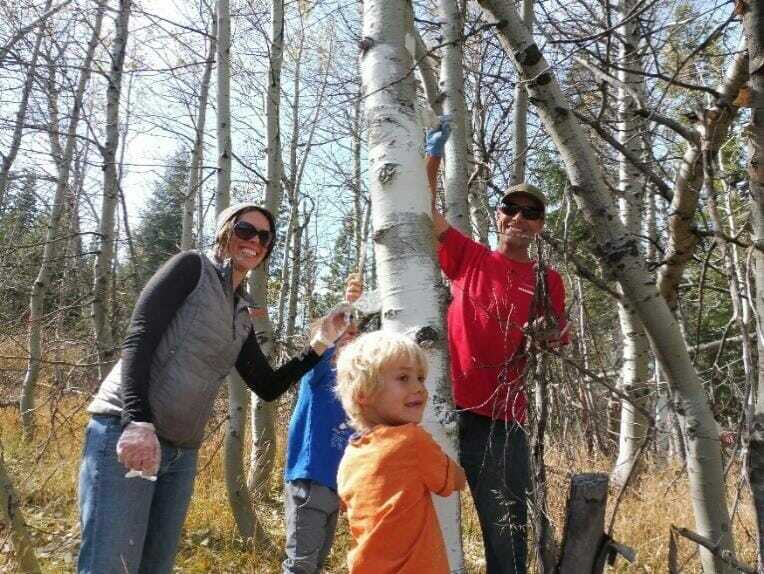 To participate in this year’s restoration projects, please visit www.truckeeriverwc.org. The deadline for registration is Wednesday, October 10th. the Little Truckee River at Truckee River Day 2011. Volunteers have their choice of half or full day restoration projects with different levels of difficulty. Projects will include restoration along the Alder Creek portion of the Emigrant Trail, willow planting at Truckee Meadows, and tree planting near Sagehen Field Station. Projects start at 9am or 11 am and finish by 2:30pm. charge by Northstar California. Everyone is invited to the fair – even if you’re not involved in the restoration projects. The Watershed Council leads this important effort in partnership with the US Forest Service, Truckee Donner Land Trust, Truckee Trails Foundation, Sugar Pine Foundation, Truckee Tahoe Airport District, and others. Thank you to this year’s funders, including donors to the Truckee River Watershed Council, Northstar California, Tahoe Truckee Community Foundation, Town of Truckee, Truckee Chamber of Commerce, Truckee Tahoe Airport District, and Vail EpicPromise. Prestowitz at mprestowitz@truckeeriverwc.org to find out more. Either way, you’ll feel empowered knowing you took part!